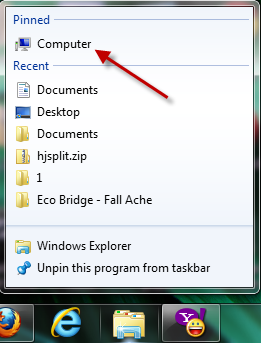 Pinning the Computer icon to the taskbar makes accessing files on the hard drive more efficient. 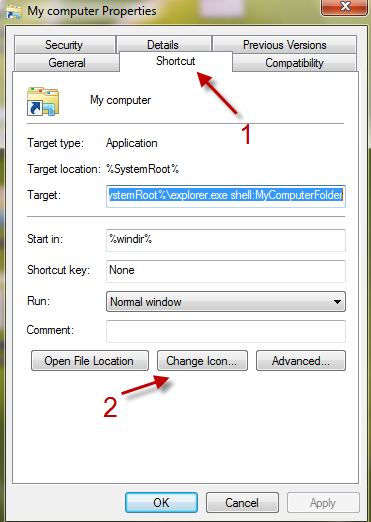 However, many users have trouble doing this because the routine pin method actually pins the Explorer icon instead. 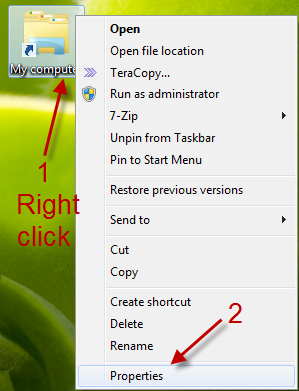 This tech-recipe describes the best method to pin the Computer icon to the taskbar. 1. 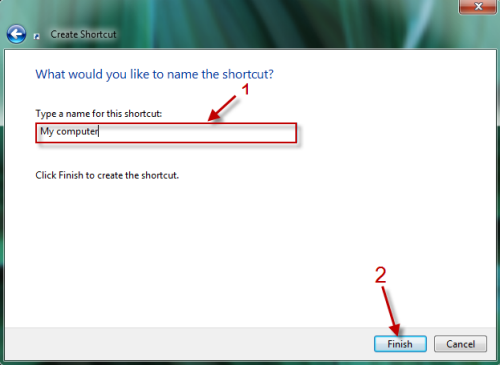 Right click on your desktop and choose New->Shortcut. 2. 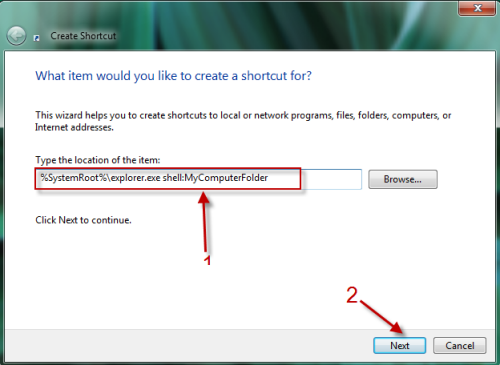 In Create Shortcut window, paste the following: %SystemRoot%\explorer.exe shell:MyComputerFolder and click Next. 3. Give your shorcut a new name, just choose any name you like and then hit Finish. 4. Now, you have a Computer shorcut (with Explorer icon) on your desktop. You may want to change the icon back to normal Computer icon, just right click on it and choose Properties. 5. In Properties window, switch to Shortcut tab and choose Change icon. 6. 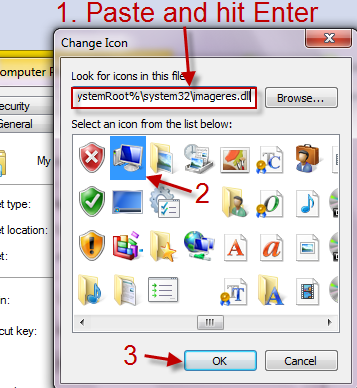 Paste the following: %SystemRoot%\system32\imageres.dll in Look for icons in this file: and hit Enter. After that, choose the Computer icon and hit OK.
7. Back to Properties window, hit OK again. 8. Now you can drag the icon to the taskbar and that’s it!